"Self-Care is so important. You cannot serve from an empty vessel". 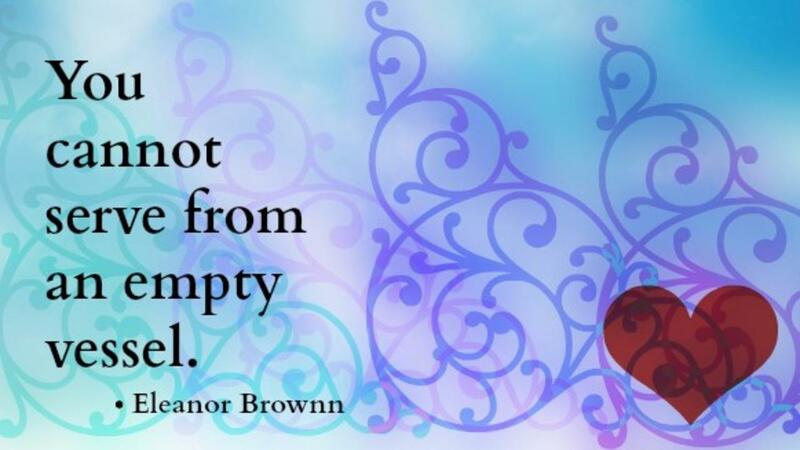 Eleanor Brownn. Teacher burn-out is a serious issue. This post includes my personal experience and a wonderful interview with Fiona Forman, a teacher from Ireland, and Co-creator of the Weaving Well-Being Program. Many of you know that I left classroom teaching after 20 years in December 2015. It was very hard to admit that I was burned-out so I jokingly told colleagues that I was retiring (even though I was years away from retirement). Being "burned-out" seemed like a weakness. In fact, this is the first time that I am actually admitting it. So what caused my burn out? Unfortunately my last full time teaching position was in Hong Kong. When I returned to Canada in 2007, I had to juggle several part-time workloads at a college. Not only was I teaching new courses every semester (and sometimes at two or three different campuses), I was teaching on Saturdays and managing two language programs for new immigrants. I also completed my Master of Education during this time as well. This madness lasted until December 2015.
Who would choose this kind of workload? For me it wasn't a choice. I live in the province of Ontario, Canada where 70% of college faculty are sessional, contract or part-time. Precarious employment has been on the rise for some time now. Many teachers have to piece together different workloads to earn enough to make a living. I was fortunate to be able to take time off last year and went back to the classroom in the Fall as a supply teacher. I have more awareness now of the importance of self-care and well-being (See my blog post from last October https://www.patricepalmer.ca/blog/why-you-should-care-about-self-care and feel that it is important to talk about burn-out and teacher well-being. I was surprised to learn that there is actually a tool called the Masclach Burn-out Inventory that measures teacher burn-out (http://www.mindgarden.com/117-maslach-burnout-inventory). 2. Depersonalisation is marked by cynicism, poor attitudes towards students, colleagues and the school itself, a lack of contact with others, and growing isolation. Teachers on the road to burnout may not greet their colleagues. 3. Personal accomplishments are viewed negatively: teachers don't set goals, and have low self-confidence. Relationships suffer, not only professionally but personally. Research suggests that it is not easy to identify teachers who are beginning to burn out because they tend to hide their condition, or are not aware of it. Here is my interview with Fiona Forman. Please share this blog post with other teachers. 1. Can you start off by telling us about your teaching career? First of all, thanks so much to Patrice for giving me this opportunity to talk about my work and for highlighting the crucial topic of teacher well-being. This is my 29th year of teaching. I’ve taught all class levels in primary school including special needs and learning support. I’ve worked in a number of different schools and was lucky enough to be able to job-share for a number of years when my children were young (my daughter is now 20 and my son is 17). I’ve been teaching in large primary school in Dublin, Ireland for the last 12 years. I currently teach 4th grade – I have 30 children in my class with a very wide range of abilities and needs, so it’s pretty busy! 2. Why do you think you have had such a long teaching career? I find it hard to believe that I have been teaching so long, the years have really flown by and I’m glad to say that that I’m happier than ever in my job. I think the reason for that is that I’ve learned to identify and prioritize the area which I feel is of the most critical importance in education – pupil and teacher well-being. My teaching philosophy is to keep the emotional needs of my students as my number one priority. In my experience, everything else falls into place once these needs are met. There are so many pressures in the classroom today; new initiatives, technology, evaluations and curriculum overload. I’ve learned to trust myself and my own common sense on a daily basis in dealing with these demands. I remind myself that I’m only one person and I’m in a marathon, not a sprint. If I don’t get to the end of my daily plan I show myself lots of self-compassion and remind myself that I’m doing my best! 3. How did you become interested in teacher well-being? I have always been interested in both student and teacher well-being. To me, this is the foundation that education is built on. They are inextricably linked; research shows that teacher well-being impacts on the well-being of children in their care. There can be no student well-being without teacher well-being; it must come first. That’s why teachers should never feel bad or selfish about prioritizing their own self-care. 4. Can you talk about your degree in Positive Psychology? My interest in well-being led me to discover Positive Psychology, which is the science of well-being. This is a relatively new branch of psychology, founded by Professor Martin Seligman of the University of Pennsylvania. Seligman’s insight was that traditional psychology is deficit-based. He saw the need for more research on concepts such as flourishing and optimal development, resilience and optimism – a strengths-based approach which focuses on the factors and elements which contribute to mental health and well-being. I was over-the-moon, to say the least, when I started to read and learn more about this exciting new science! 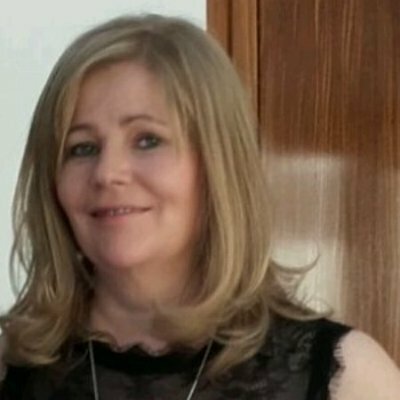 I began to study for a MSc in Applied Positive Psychology (MAPP) in September 2014 with the University of East London on a part-time basis and I will be finished this summer. It’s been an incredible journey for me. As I study and learn all of the evidence-based interventions and skills which contribute to well-being, I incorporate them into my own daily life and into my classroom, for myself and my students! The results have been wonderful, and my teacher well-being workshops are based on my Masters’ studies and this personal and practical application of what I’m learning. 5. Can you tell us more about positive psychology? Positive Psychology also offers a fantastic framework for understanding well-being in general. 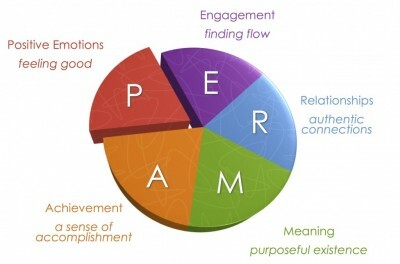 Seligman’s PERMA theory identifies five particular areas which I present in our workshops as our ‘Reservoirs of Well-Being’. Once we become aware of them, this empowers us to become actively involved in replenishing them for ourselves on a daily basis. Keeping our ‘Reservoirs of Well-being’ replenished is a preventative approach, it helps us to keep our mental health strong and builds resilience which helps us deal with the inevitable stresses of the job. Teachers need to know that they should invest in their lives outside school and try to keep a balance in terms of enjoyment, fun and interests. 6. What do you think that teachers should know about well-being? Patrice - reading your wonderful introductory piece really brought home to me the level of stress and burn-out which is associated with our profession. Your honesty in sharing your story will inspire so many other teachers who may be struggling with stress and on the verge of burn-out, but may be reluctant to open up about it. Reading about the serious symptoms of burn-out, and about how teachers tend to hide them, or are not aware of them, made me realize that we should all make self-awareness a priority, and keep a regular check on how we are feeling. We should also look out for our colleagues. Teaching communities can be incredibly nurturing, caring and supportive of the children in their care, but sometimes forget to extend this to the teachers who are at the front line. Teachers may be afraid of being seen as weak or struggling if they open up about their challenges or difficulties. My first piece of advice is find a colleague you can open up to and can offer support or just a listening ear, of course, you can do the same for them. Building and nurturing positive relationships is one of the most important things anyone can do for their well-being. 7. Can you recommend any books? 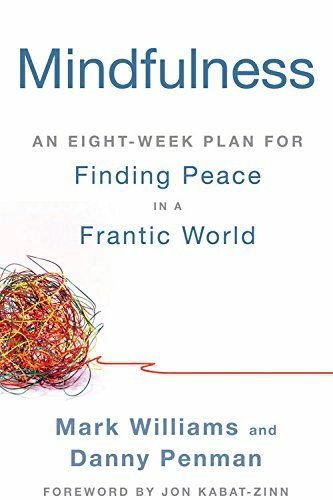 In my studies, I came across the concept of the funnel of exhaustion and burnout, which was developed by Professor Marie Asberg, and is discussed in the wonderful book ‘Mindfulness - Finding Peace in A Frantic World’ by Mark Williams and Danny Penman http://amzn.to/2j7XkkR. The image of the funnel is very powerful in conveying the journey to burnout. The top of the funnel represents our balanced lives when we have a wide range of areas in our lives which sustain us, from hobbies to relationships to relaxation and rest. As we become stressed, we let go of many of these areas as our focus becomes narrower and narrower, with work becoming our only focus. We see the other activities as optional and not worth prioritizing as we are so busy; the irony is that it is these very activities which we need to nurture us. At the end of this journey, the funnel spits us out, burned-out and exhausted. I keep this funnel in mind at times when I notice my work taking over and if I’m tempted to narrow in on it too much. This is the very time I need to invest in the other parts of my life. 8. What else do you talk about in your well-being workshops for teachers? Two other areas which I particularly focus on in the workshops are Positive Emotion and mindfulness, as I think these can really help teachers on a day- to- day basis. Feeling small but frequent amounts of positive emotions like joy, humour, awe, love, kindness and pride can have a powerful effect on well-being and resilience. You can check out the work of psychologist Barbara Fredrickson, the leading expert in this field for more on this research. There are so many ways to nurture positive emotions in the classroom, I encourage teachers to share ideas on this and also to really notice them and savour them when they occur. So often in the classroom, we are so overloaded and constantly trying to be one step ahead of ourselves, that we miss many beautiful moments which have the power to sustain and nurture us, if we let them. It’s worth being aware of research which shows that it is not the presence of negative events which is the greatest indicator of teacher stress, but the absence of positive ones. As teachers, we often have no control over these negative events, but we certainly have the power to create and value many moments of positivity in our classrooms. These moments are not a luxury, but a necessity! We can give ourselves permission to slow down and think about what is really important, instead of constantly striving to push through our overloaded days. 9. I have seen many articles about using mindfulness in schools. Do you use this in your own classroom? Yes I do. Mindfulness refers to the process of bringing our attention and awareness to the present moment, with an attitude of non-judgement and acceptance. There is so much research now showing the powerful effect of mindfulness on well-being, including teacher well-being. Bringing a daily mindfulness practice into the classroom is a fantastic way to nurture both our students’ and our own well-being. I take between 5 and 10 minutes a day to do this with my class, they really enjoy it and I have felt amazing benefits since I started to do it regularly over the last number of years. It’s one of the reasons I am enjoying my job more than ever before and it has really enriched my relationships with my students. My ability to notice and savour all the beautiful little moments which unfold in my classroom has deepened. Research also shows that mindfulness practices in the classroom can also be linked to better academic outcomes, and this would be certainly true in my experience. 10. You have developed your own program and training. Can you talk about your Weaving Well-Being program? I’m the co-author of a new Positive Psychology Well-being Program for primary school children called Weaving Well-Being. It grew from the lessons which I devised and taught in my classroom based on the material from my Masters in Applied Positive Psychology. There was a huge positive response from both the children and their parents, so I then expanded the lessons across the school. I got great feedback from the other teachers, and I then began my collaboration with my co-author, Mick Rock, who had just finished the same Masters course and was also very interested in well-being in education. We got a publishing deal with Outside the Box Learning Resources in 2015, and I’m delighted to say the program is going from strength to strength! We have chosen a particular theme from Positive Psychology to explore across each of the different grade levels. So, second grade explores character strengths, third grade explores positive emotions, fourth grade explores resilience and mindfulness, fifth grade explores positive relationships and sixth grade focuses on empowering beliefs. The idea behind the program is that children are taught the well-being skills and strategies, and then weave them into their day-to-day lives, hence the name Weaving Well-being. Each year level has 10 lessons which are designed to be very teacher-friendly and easy to deliver. We are officially launching the full program in April and it is suitable for use internationally, so we are very excited! The response to date has been overwhelmingly positive, with teachers commenting that they are finding it beneficial both for themselves and their students. I’m delighted to feel that it is making a difference, and I’m conducting research on it at present as part of my Masters’ dissertation. It’s such an exciting project to be involved in! 11. How do you look after your own well-being with such a hectic schedule including full-time teaching, studying, training and writing as well as family life? I’m so aware that I need to practice what I preach! As I mentioned, having an awareness of the funnel of burnout helps me to prioritize balance in my life. I’m very lucky to have a fantastic circle of friends and family and I love socializing and catching up with them regularly. I make sure to practise mindfulness daily as this brings such huge benefits to me both physically and emotionally. I ensure that I eat as healthily as possible and try to be physically active – I’m not a fan of the gym but I love walking and yoga. I’m incredibly grateful for the richness of my life and I remind myself of that whenever I start to feel overwhelmed! I keep my ‘Reservoirs of Well-Being’ replenished and this has really helped me to deal with stresses and pressures also. Fiona, thank you so much for taking the time to address the issues of burn-out, teacher and student well-being, positive psychology and your program Weaving Well-Being. How can we find out more about your work? Thank you Patrice for your wonderful work and for providing me with this opportunity to share my ideas – I hope they were helpful! Watch this free webinar on teacher burn-out sponsored by the British Council. If you have other questions about this topic, or would like to share your story, please get in touch.